When you’re looking for someone to help improve a smile or your overall mouth health, you want someone who truly cares about the work and patient outcomes. Dr. Jeffrey A. Weller of Weller Dental is one of those practitioners—someone who listens to his patients, understands their concerns and creates a roadmap for his patients to help them feel confident and happy. That’s the passion Dr. Weller still has after 30 years in the industry. After graduating from what was then Illinois Benedictine College in Lisle, Dr. Weller attended the University of Illinois Dental School until 1986. After practicing for 10 years, he turned his focus from general dentistry to cosmetic dentistry. 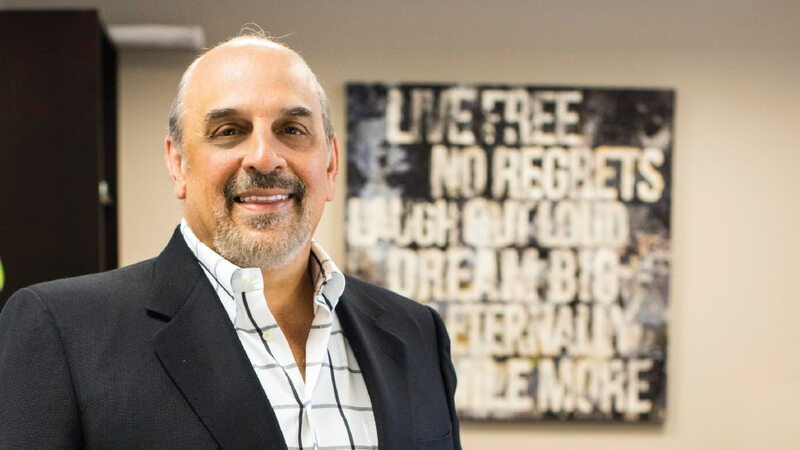 “I pride myself on continuing education and have received advance training in cosmetic, functional, and implant dentistry by the Rosenthal Institute NYU, Spears Education, and the Dawson Institute,” he says. He also has lectured on Dental Implant Restorative and Functional cosmetic dentistry. He is truly an expert in his field. Now Dr. Weller has two offices—one in Chicago and his satellite practice here in Hinsdale that he opened in 2012. His customized approach to patient care is one of the reasons that Dr. Weller consistently gets glowing reviews from his patients. Plus, he understands that not everyone likes going to the dentist, and they have concerns. Plus, the materials and preparations for cosmetic and restorative dentistry continue to improve. “We are seeing more conservative preparations for crowns and veneers due to the advances in porcelain and elimination of most metal restorations. We are seeing advancements also in implant dentistry and are able to accomplish better-looking restorations due to advancements in planning, custom connection pieces, and prettier porcelain restorations,” he says. One of the latest additions to Dr. Weller’s vast offerings is DuraThin veneers—the most customizable and conservative veneer in the marketplace. “They transform your smile without even drilling on patient’s natural teeth,” he says. Dr. Weller’s Chicago office has been a mainstay for many years, but he moved to Hinsdale with his wife and sons 13 years ago. Opening his second office in Hinsdale in 2012 is one of the best career decisions he has made, for a two key reasons—his boys. Learn more about Dr. Weller by visiting wellerdental.com or by calling 630-654-2900. His local practice is located at 920 N. York Road in Hinsdale.